Totally brilliant, love the whole look. Your colouring is so so good. So creative! Love the vibrant colors and contrasts. This truly captures the "snapshot of Anya right as the clock strikes midnight". Beautiful, Amy! Happy New Year Amy! So happy for you to be back on the TGF team! Congrats! Super sweet card, love the affects you created! I'm totally in love with this card!!! OMG this card is totally Amazing!!!!!! 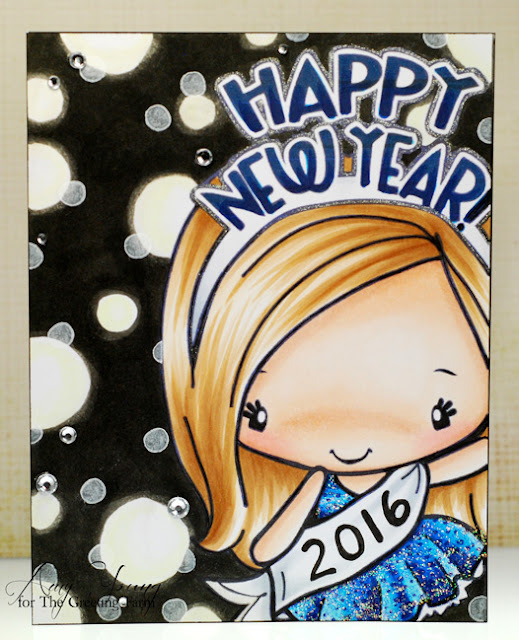 What a really FABULOUS NewYears card!!!!!! I had the day off Friday and woke up at noon!!!! MY whole daily schedule was thrown off. I can't believe I am just now seeing this Amazing creation!